What is the best Turkey Call to use? Hemlock Ridge Calls offers only the highest quality, most realistic sounding calls. Whether you are coaxing in a wary Tom with subtle turkey talk, locating a gobbler from a windy Appalachian ridge top, trying to lure in a trophy buck, or bag a cunning and elusive predator, a Hemlock Ridge Custom Game Call™ will help you get the job done. Every call that leaves our shop is guaranteed to realistically duplicate the game you are hunting. Ease of use, and exceptional tone quality and realism are the hallmarks of every Hemlock Ridge Custom Call. At Hemlock Ridge Custom Calls®, hunting and crafting calls, are not a hobby, they are a passion. Each Hemlock Ridge Deer, Predator & Turkey Call is truly a custom made call that is meticulously worked, start to finish, one at a time. All of our calls are made from the finest materials available like our slate, deep mined here in Pennsylvania as well as Appalachian and exotic hardwoods. Hemlock Ridge Calls® are custom made and tuned one at a time, not mass produced. Many hours go into the turning, carving and assembly of Hemlock Ridge Calls®. If the finished product does not meet strict standards for sound quality, or grain character, it is cut apart and thrown into the scrap bin. 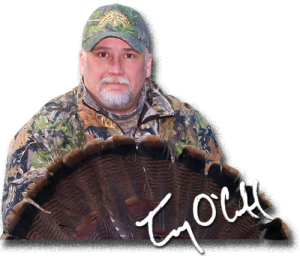 This ensures that you receive a top quality Custom Deer, Predator or Turkey Call, capable of luring in wary game. Hemlock Ridge Custom Game Calls are for the discriminating hunter. For most Hunter’s, Hunting is a passion. It is an Obsession. It is a traditional part of our family Heritage as Americans. These are the kind of Hunter’s that are always practicing with game calls and gear year round. These are the kind of Hunters that are always modifying their gear to make it more customized and efficient for them in the fields and woods. These are the kind of Hunter’s that will never be happy with a mass produced, off the shelf call. These are the kind of Hunter’s that want a call that is special and as unique as they are. They want a custom call that was handcrafted solely for them and exemplifies their passion and pride for their Hunting heritage. They demand Custom Game Calls that have been handcrafted to perfectly duplicate the vocabulary of the game they are perusing. If you are looking for a Custom Handcrafted Turkey, Deer or Predator call that can be handed down so future generations can share the passion of a family tradition, while hunting with an heirloom, you are in the right place. At Hemlock Ridge Calls, hunting and handcrafting Custom Game Calls, are not a hobby, they are a passion. Each Hemlock Ridge Call is truly a custom made call that is meticulously worked, start to finish, one at a time, from the finest materials available. Each call may signed and personalized upon request. If you would like it personalized please email terry@hemlockridgecalls.com with the message you want written on the bottom of the call. 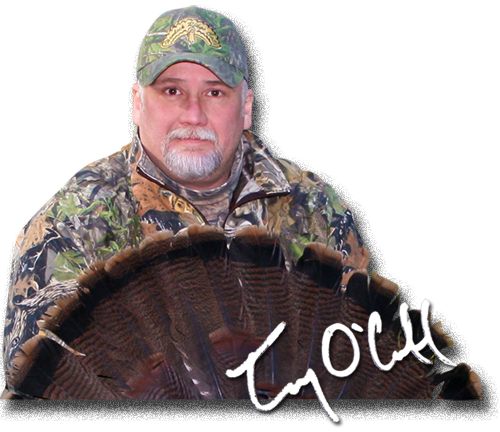 It will be hand written and signed by Hemlock Ridge Custom Calls Craftsman Terry O’Connell. © Copyright 2017 - Hemlock Ridge Calls - All rights reserved.